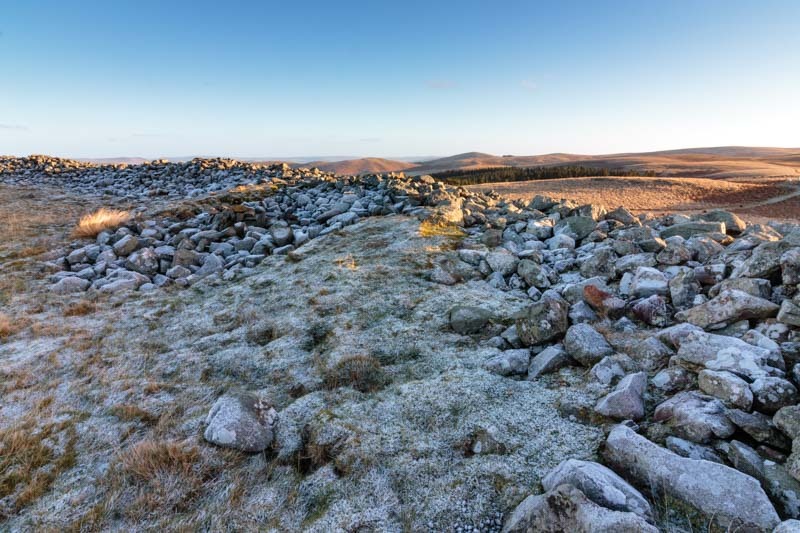 Brough Law Hillfort was an Iron Age settlement and its remains can still be seen at a height of around 288m (GPS: 55°26’29” N 2°0’15” W) on top of the hill named Brough Law, close to the village of Ingram in the Breamish Valley. You can still see the near circular layout of the stone ruins. And in fact, in some places, you can still see evidence of a second outer rampart. 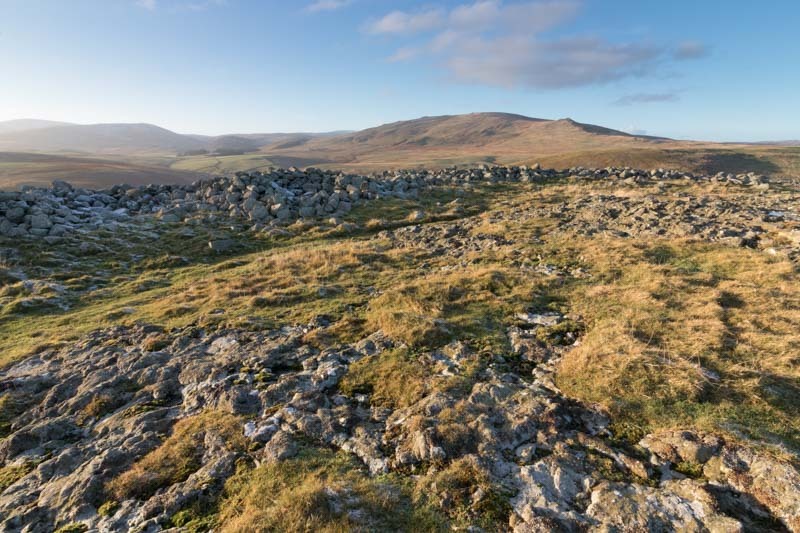 In addition, the circular outlines of a number of ‘huts’ within the hillfort can also be seen. 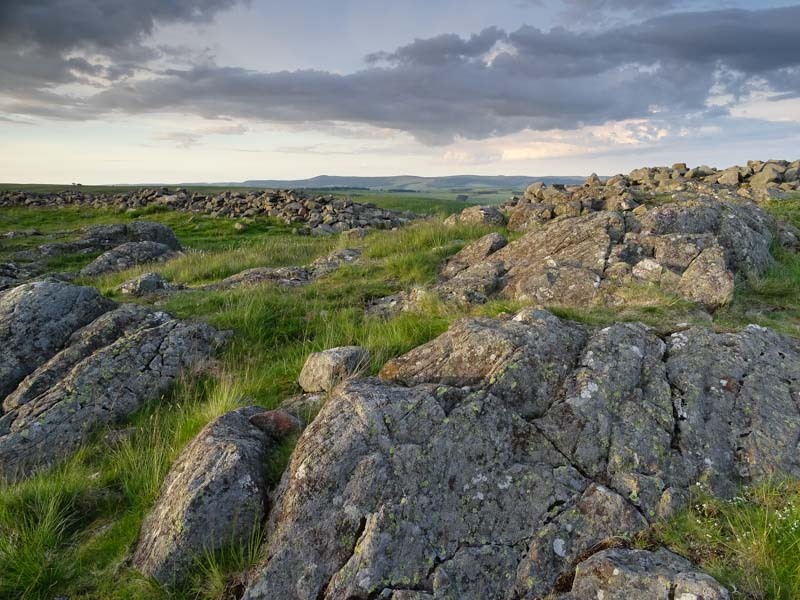 If you haven’t visited Brough Law Hillfort, it’s worth the effort. You can access the site from Bulby’s Wood carpark, which is just half a mile from Ingram village. There is ample parking at Bulby’s Wood (GPS: 55°26’30” N 1°59’22” W) and there are toilet facilities. 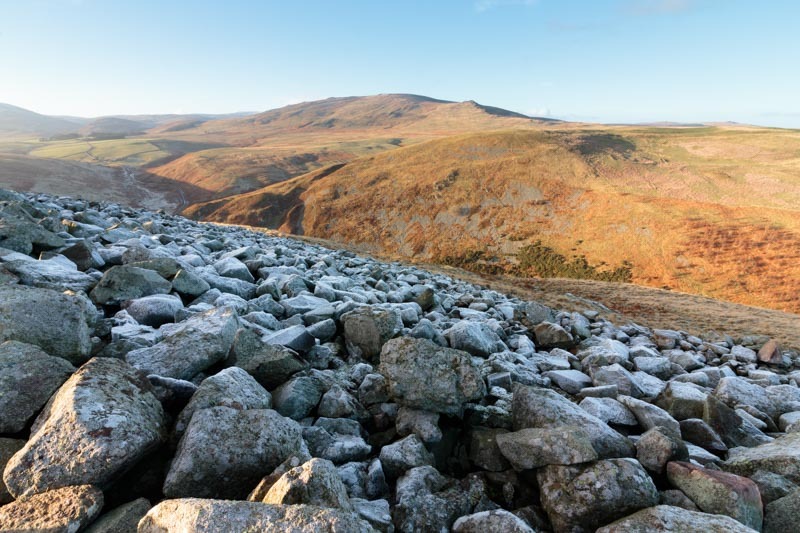 There’s a fairly steep climb from the carpark up to Brough Law but there are a number of ‘flat spots’ where you can stop, take a breather and enjoy the views. 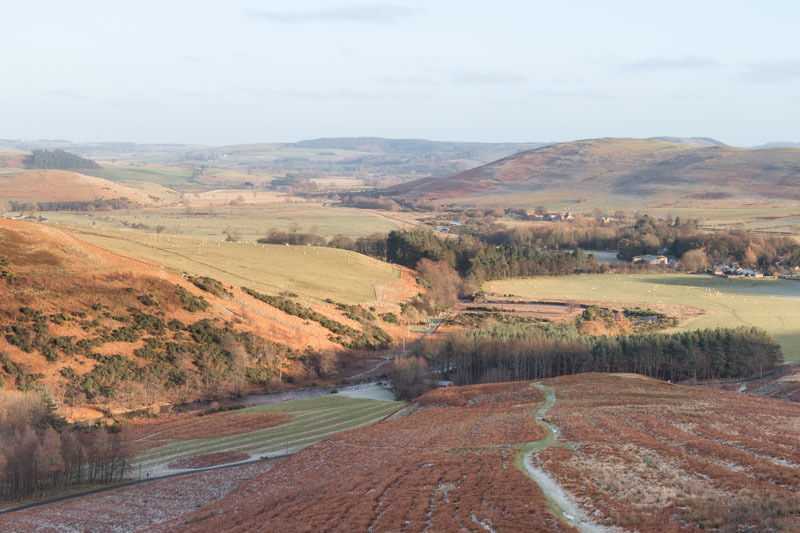 Once at the top of Brough Law, as well as the hillfort itself, there are wonderful 360-degree views of the Breamish Valley. 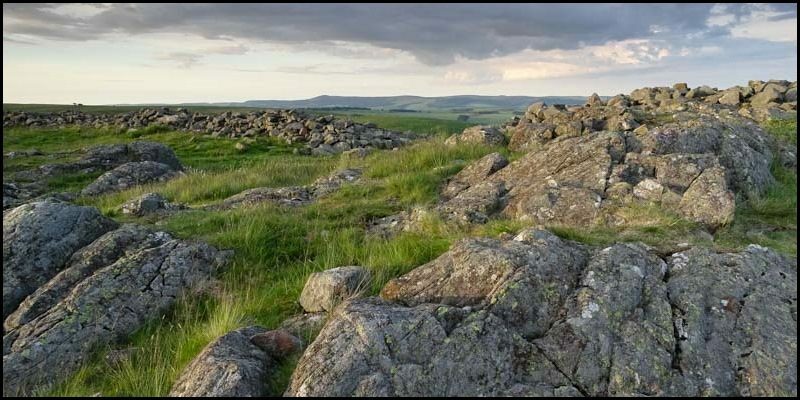 Although it’s not easy to see the full circle from the photos on this page, a good interactive 3D model of Brough Law Hillfort can be seen here.